Trying to reference above project in Xamarin.Android and/or Xamarin.iOS, using "Add reference->Solutions" and selecting above project from the list Here is what I am getting: Expected behavior... The part of Xamarin that allows you to develop iOS apps is called Xamarin.iOS. Let's use it to develop an iOS app. 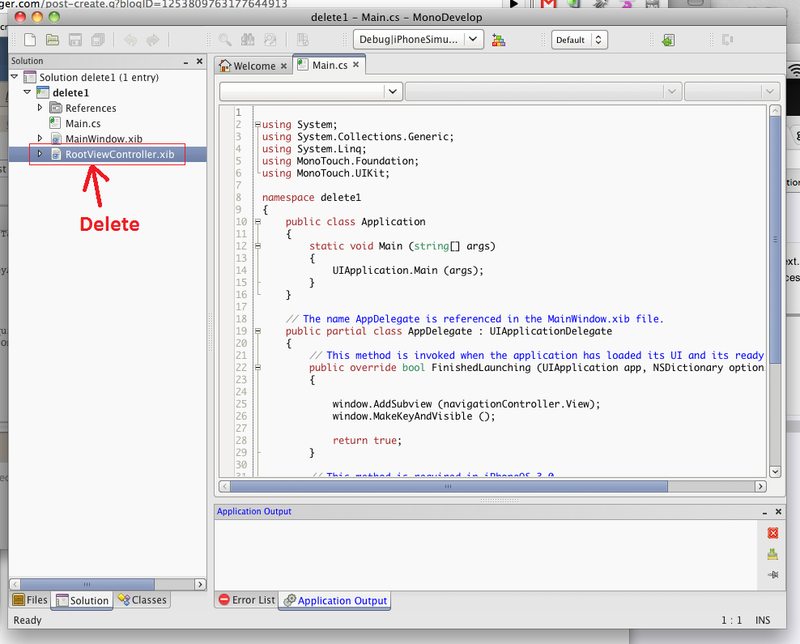 First, launch Xamarin Studio and you�ll see the opening screen, as shown in Let's use it to develop an iOS app. In Learning MonoTouch, Michael Bluestein helps you get started with MonoTouch fast and make the most of its remarkably robust capabilities. The book first walks you through setting up your MonoTouch development environment, explaining how MonoTouch abstracts the iOS SDK to permit development against native iOS classes from C#.... When adding a reference layer, you can use either the provided options or search among the thousands of layers on ArcGIS Online. The ability to search also means that you can provide your own custom reference layers simply by creating and sharing them first in ArcGIS Online. The iPhone is an amazing platform, yet coming for the .NET world, Objective C really makes me feel like I'm going back to the old days of C, now when Novell came out with MonoTouch I thought that I could do something with that.... When you add �Package� references to your non-MonoTouch assembly, you are adding Mono assemblies. Mono assemblies != MonoTouch assemblies. This is detailed in full Mono assemblies != MonoTouch assemblies. In Learning MonoTouch, Michael Bluestein helps you get started with MonoTouch fast and make the most of its remarkably robust capabilities. The book first walks you through setting up your MonoTouch development environment, explaining how MonoTouch abstracts the iOS SDK to permit development against native iOS classes from C#. 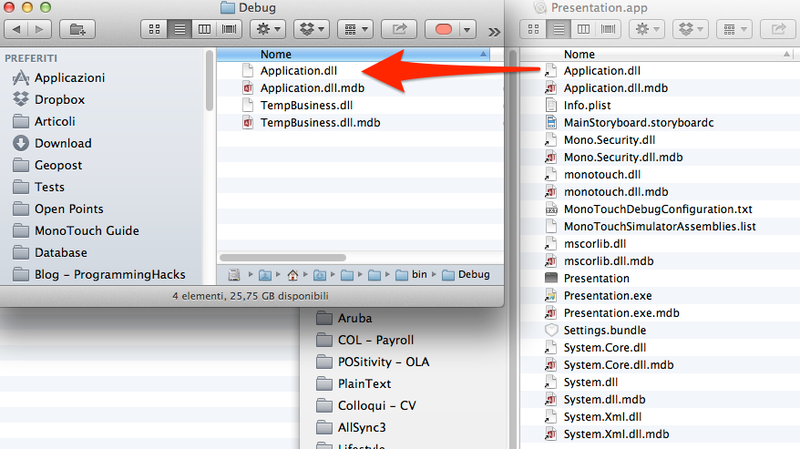 MT0042: No reference to either monotouch.dll or Xamarin.iOS.dll was found. 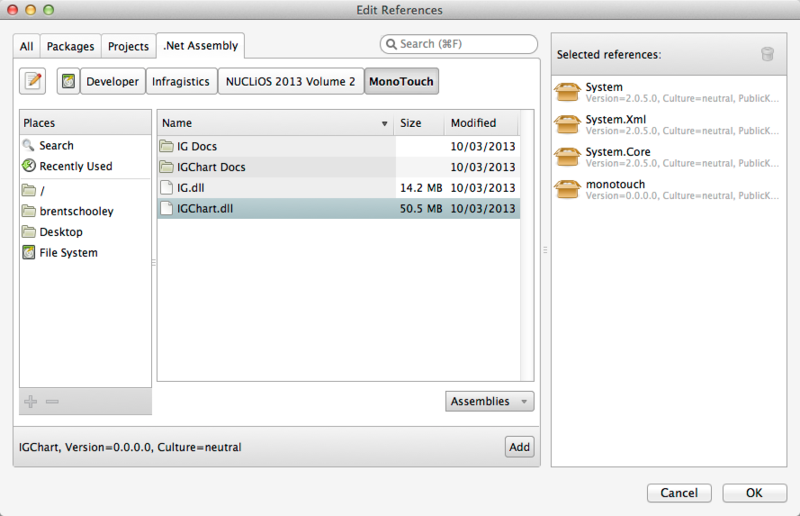 A reference to monotouch.dll will be added. A reference to monotouch.dll will be added. MT0043: The Boehm garbage collector is currently not supported when referencing 'Xamarin.iOS.dll'. When you add �Package� references to your non-MonoTouch assembly, you are adding Mono assemblies. Mono assemblies != MonoTouch assemblies. This is detailed in full Mono assemblies != MonoTouch assemblies. The iPhone is an amazing platform, yet coming for the .NET world, Objective C really makes me feel like I'm going back to the old days of C, now when Novell came out with MonoTouch I thought that I could do something with that. 19/12/2012�� Making this support more official (without the VSMonoTouch and PCL reference hacking) and then adding full nuget support would be *fabulous* - I'm so looking forwards to doing single machine binary release and publishing.